Sylvia Fay Baker passed away Wednesday, October 24th, 2018 at Holdenville at the age of 73. Sylvia was born July 29, 1945 in Claremore, Oklahoma to Daniel and Helen Pidgeon Harjo. She graduated from Castle High School and later married Jerry Baker on January 7, 1966 in Oklahoma City, OK.
Sylvia worked for the Creek Nation teaching the Creek Language for many years. She enjoyed sewing, quilting, arts and crafts and spending time with her family. 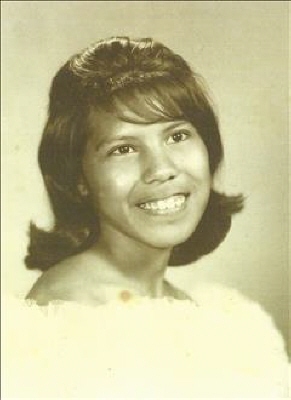 Sylvia is preceded in death by her parents, two sons; Maurice Yahola, Dennis Baker, sisters; Dorothy Fixico, Kipsey Fixico, brothers; Dually Anderson and Ted Harjo. Sylvia is survived by her husband Jerry Baker of Wetumka; brother, John Harjo of Ada, OK, children; Dean Baker of Wetumka, Derik Baker of Wetumka, Kevin Baker of Utah, Diane Baker of Wetumka, Julie Yahola of Shawnee, Tommy Yahola of Wetumka, Blanche Bear of Ft. Gibson, Jeff Yahola of Wetumka and Anson Yahola of Wetumka, 20 grandchildren and 3 great grandchildren. Wake service will be 7:00 p.m. Sunday October 28, 2018 at Kaney Chapel. Funeral service will be 10:00 a.m. Monday October 29, 2018 at Kaney Chapel with David Wilson and Pastor David Dunson officiating and burial to follow at Wetumka Cemetery. Pallbearers are Pacer Lowe, Danan Baker, Joseph T. George, Ky Lowe, Daven Baker and Derrick Vanwinkle. Services are under the direction of Stout-Phillips Funeral Home. To send flowers or a remembrance gift to the family of Sylvia Fay Baker, please visit our Tribute Store. "Email Address" would like to share the life celebration of Sylvia Fay Baker. Click on the "link" to go to share a favorite memory or leave a condolence message for the family.